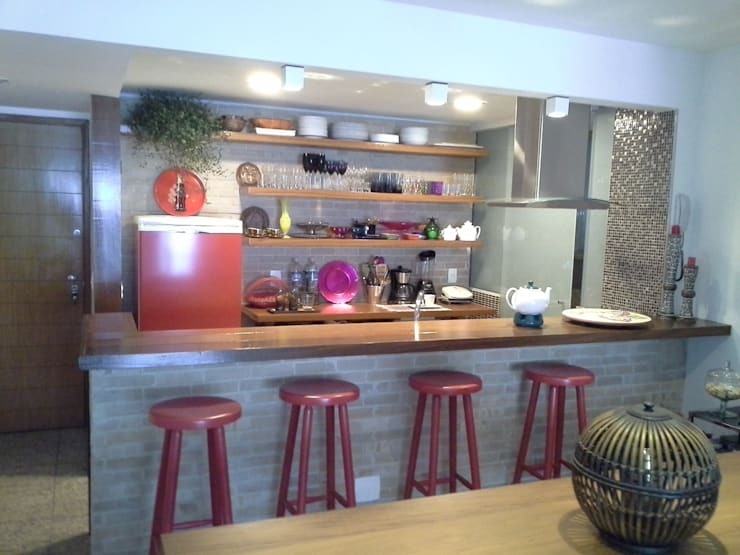 We know the importance of combining functionality and style when it comes to the house, especially for the heart of the home – yes, the kitchen, which needs to be filled with aesthetic beauty as it sees its fair share of socialising on a daily basis. 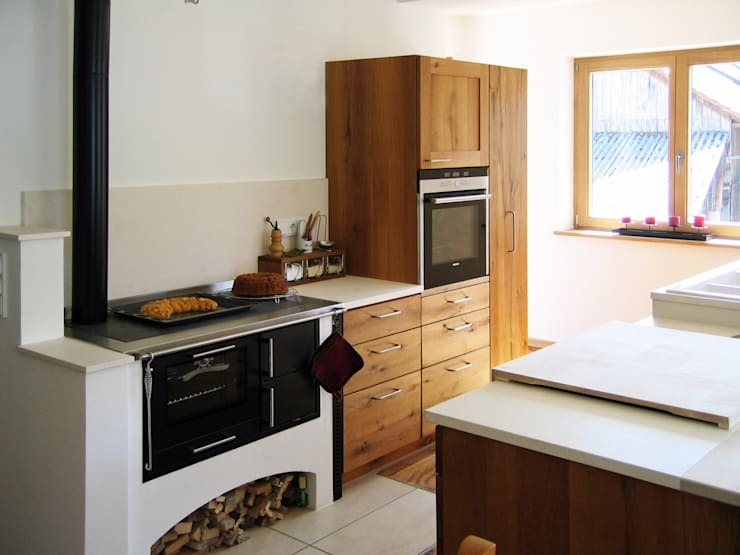 The modern style is no stranger to artistic quality and practicality, but what about the rustic design? Isn’t that a bit challenging? Not at all, if you are clever with your choice of materials and colours! 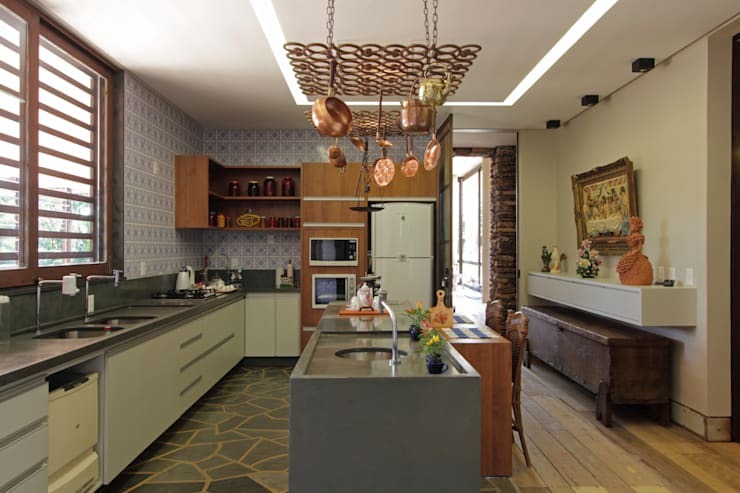 Rustic surfaces like wood and brick and the warm, natural colours to go hand in hand with this style need to be combined seamlessly with the functional aspect of the important kitchen space. 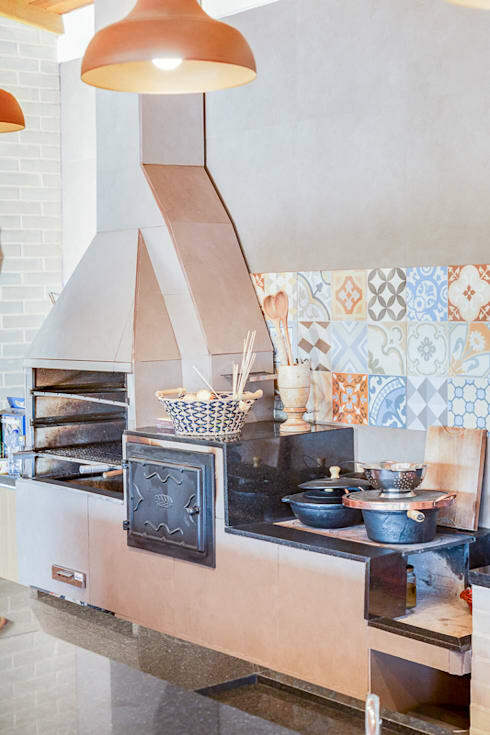 And since we are all about stylish tips, let us help you once again by showing you no less than 24 rustic-style kitchens to inspire your inner interior designer. 1. 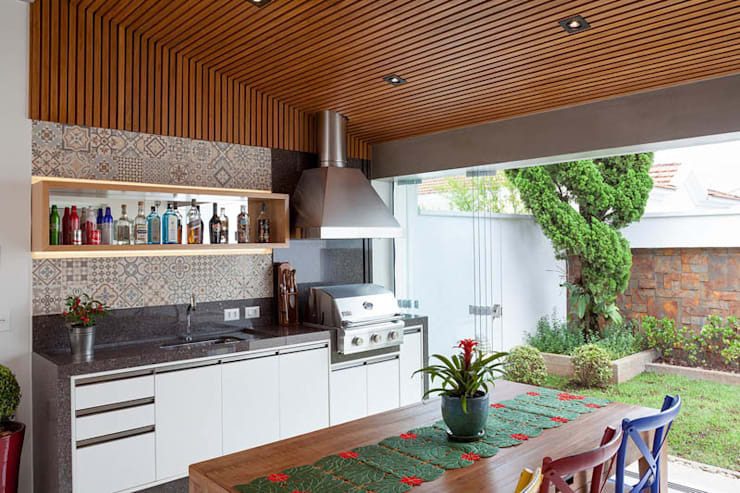 A classy touch – we just love those patterned tiles pairing up with the rustic wood. 2. The vivid orange ensures a lot of pizzazz that goes splendidly with the neutral tones of the furniture. 3. 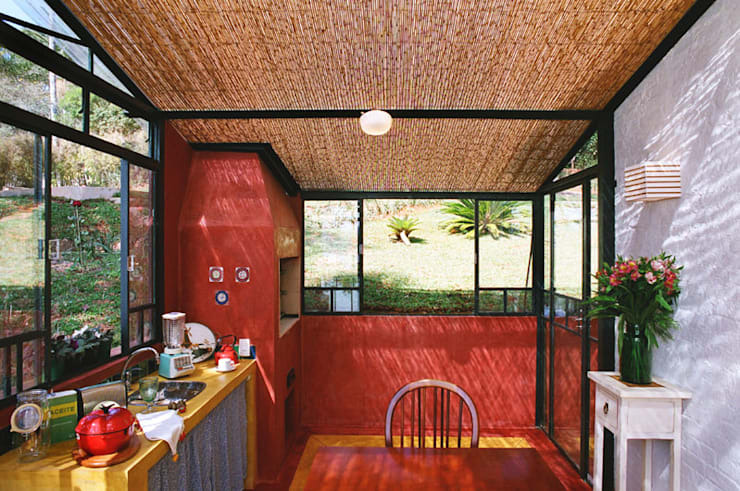 Wood is such a loyal companion to the rustic style – check out that bamboo-clad ceiling! 4. 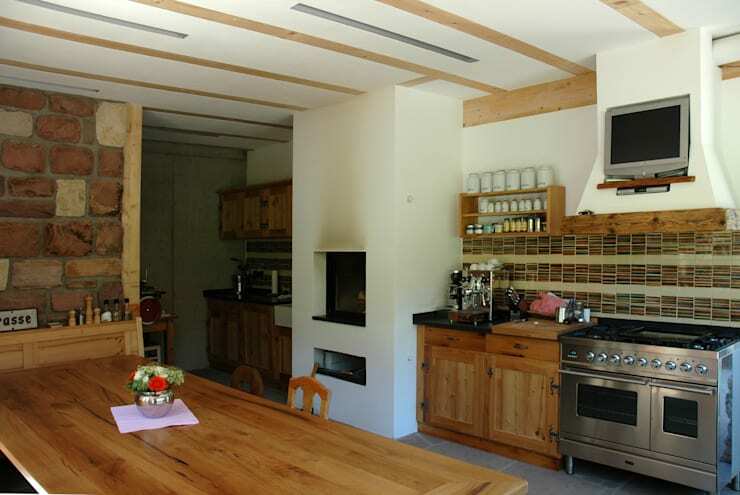 The combination of cream walls, wooden furniture, and trendy appliances ensure a rustic-meets-contemporary space. 5. 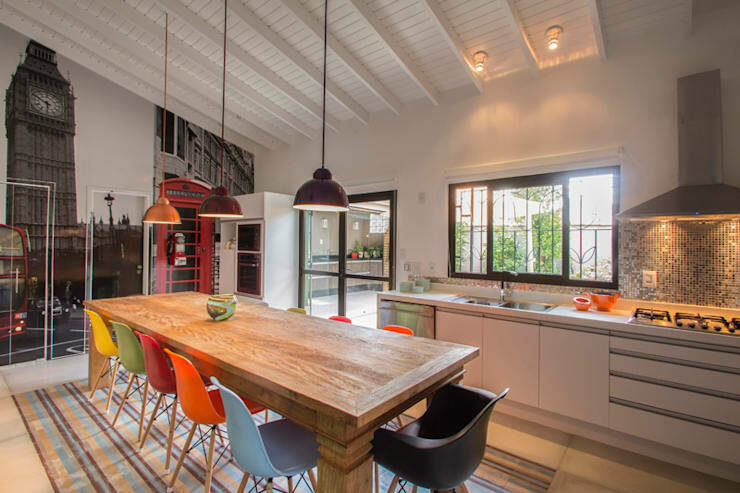 The slatted wooden cabinets ensure some striking colour that contrasts so beautifully with the rustic roof. 6. 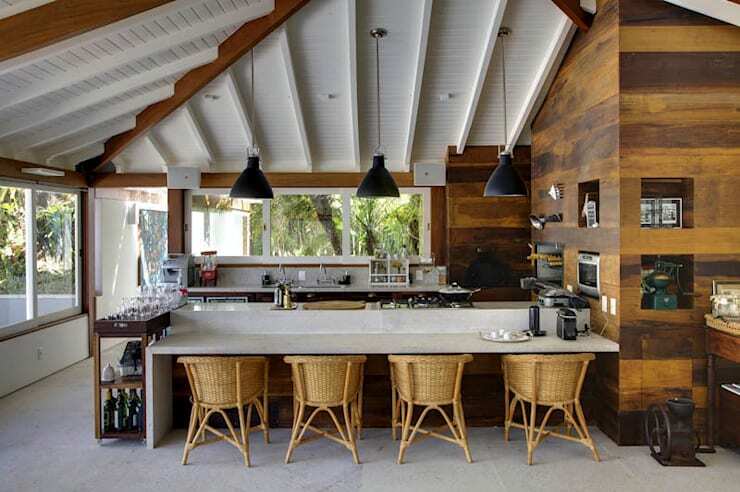 The rustic wood and elegant whites in here are a match made in heaven. 7. 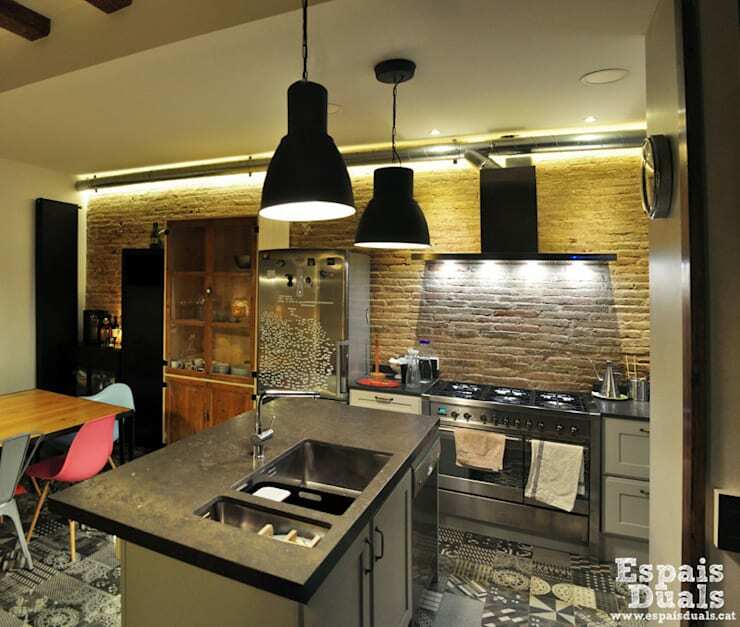 We just love how the patterned floor tiles offset with the brick wall – a most interesting touch indeed. 8. 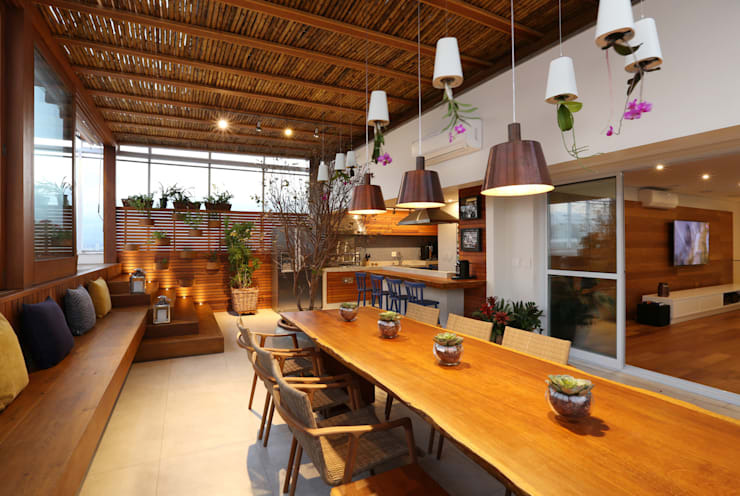 Notice how well the slatted wooden ceiling matches up with the wooden table and rough brick wall outside. 9. 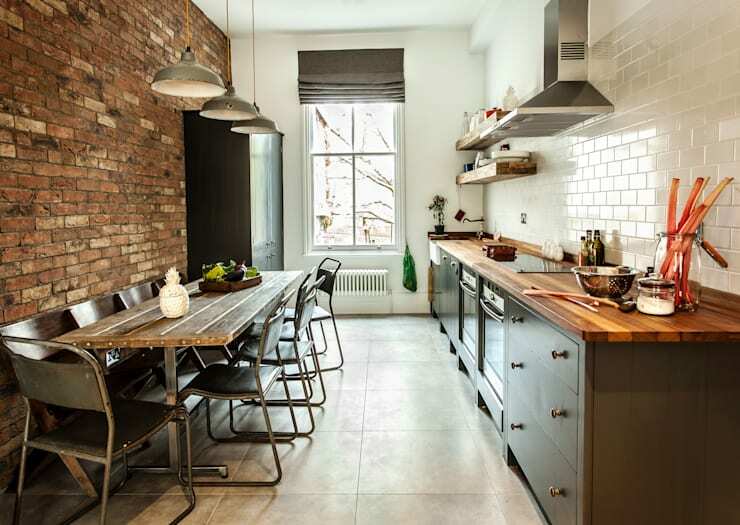 This exposed brick wall beautifully balances with the tiled wall on the other side – such an exceptional rustic surface! 10. 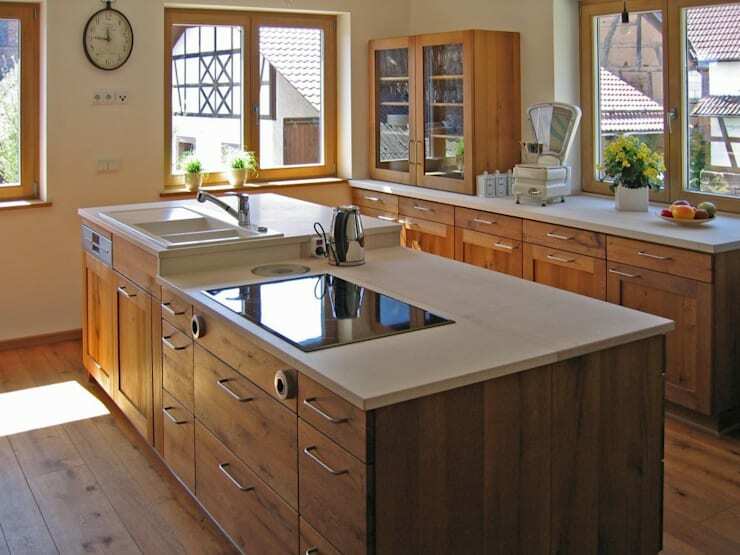 Rustic wood makes a fabulous comeback with these cabinetry and table surfaces. 11. Soften the rustic look a bit with some pretty décor, flowers, and floral patterns on the floor tiles. 12. 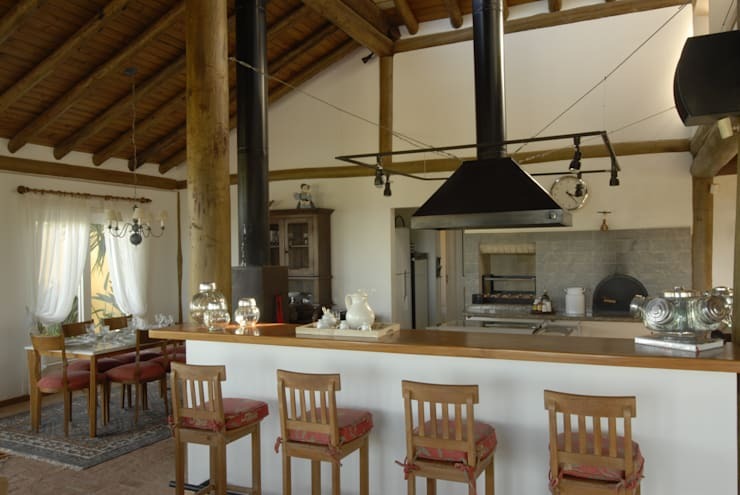 The rich wooden furniture, warm floor tiles, and recessed lights of this space present a trendily rustic design. Well done! 13. The monochrome look can be flaunted in any style – yes, even rustic. 14. 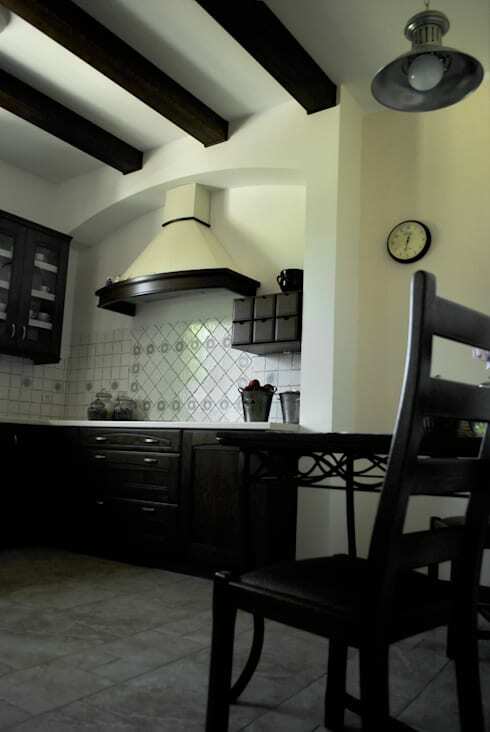 How about a raw and natural look with these exposed ceiling beams? 15. Or some brick veneer for a classy rustic touch? 16. 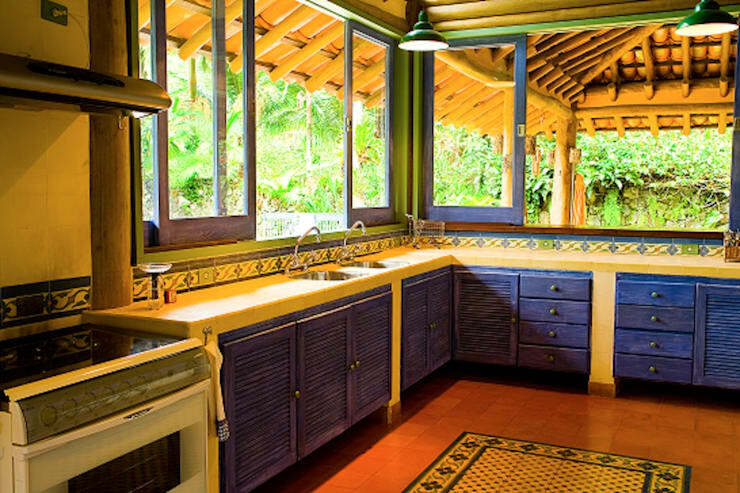 Make that rustic space more charming with splashes of vibrant colour. 17. 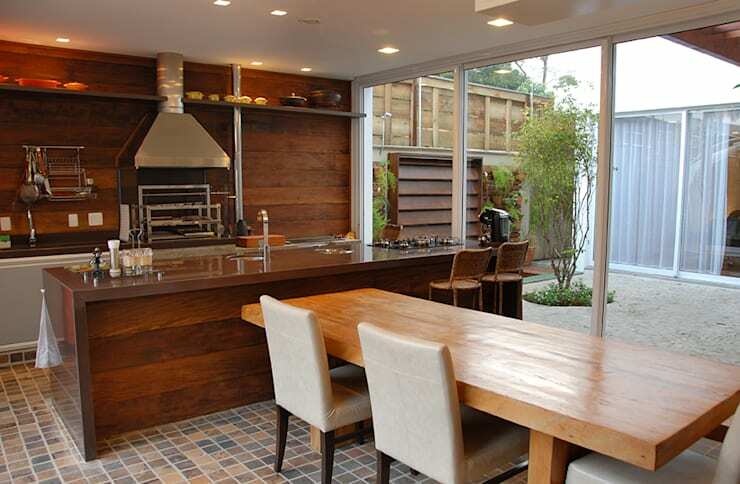 Brown wood, wicker, and sleek glass? What an ideal combination. 18. Notice the magical lighting effect achieved by that rustic ceiling. 19. 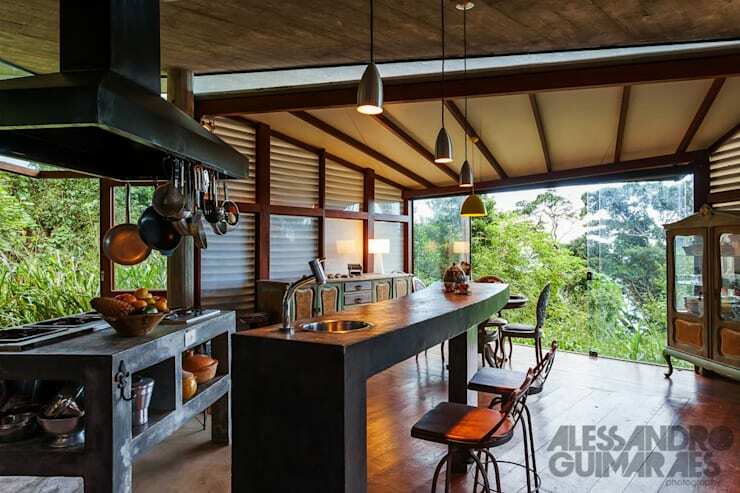 Thanks to glass doors, the interior wooden surfaces link up with the fresh greenery outside. 20. 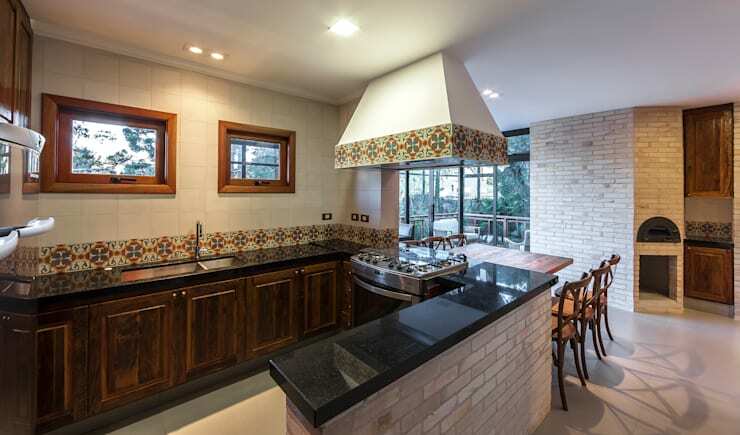 These hanging kitchenware complement the exceptional ambience generated by the grey brick veneer and rustic cupboards. 21. 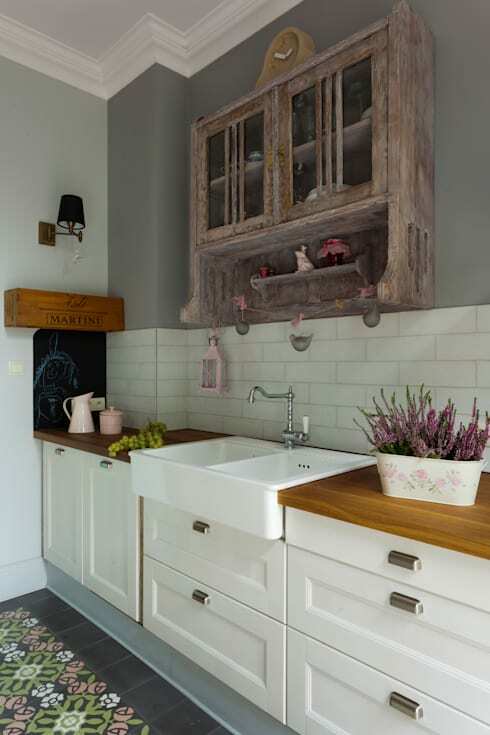 These pretty pastels of the tiles ensure some design harmony when mixed with the dark rustic kitchenware. 22. For some slight rustic touches, we recommend a few copper vessels. 23. Contrast at its best: raw log pillars combined with delicate curtains and classic glassware. 24. Short on space? 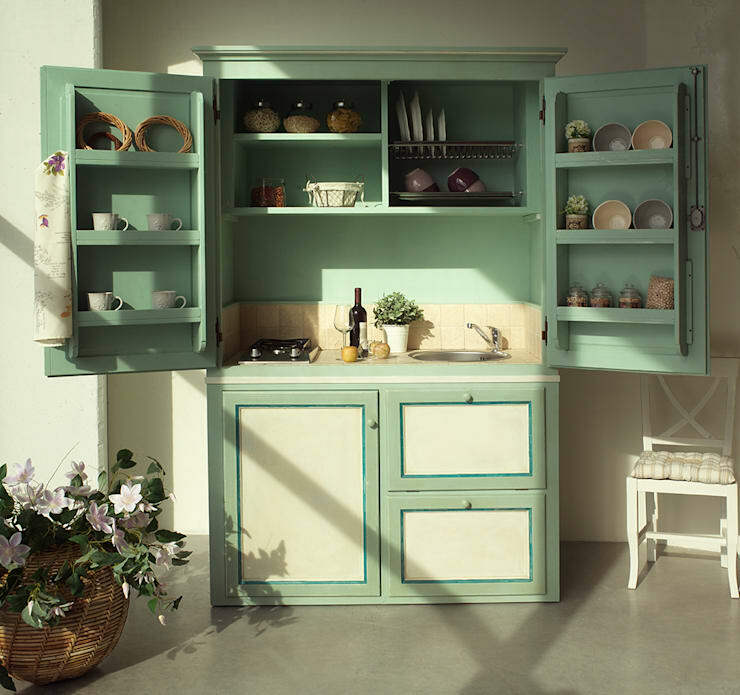 This pretty wooden cabinet is a tiny kitchenette that packs a big punch of rustic style. 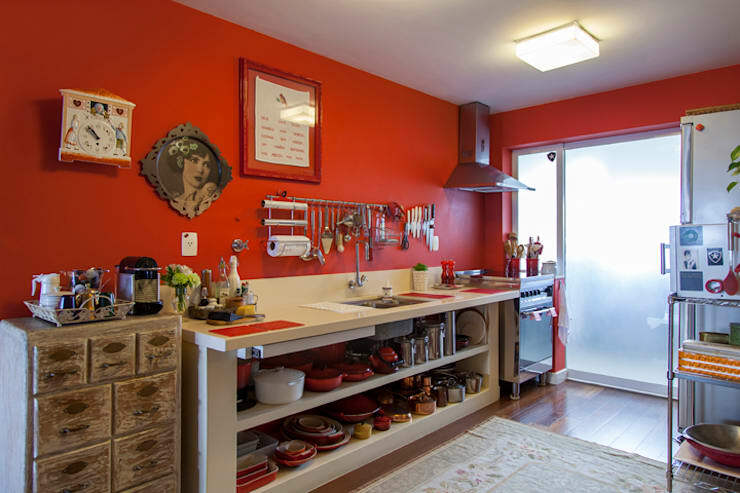 Small space is no excuse for a cluttered lifestyle; see these 6 Smart Kitchen Storage Solutions. 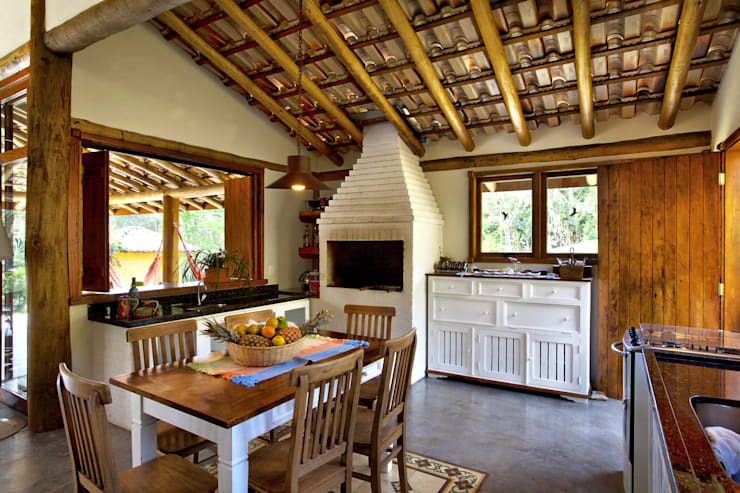 Love it or dislike it: what is your opinion on the rustic style?